1. Limit any kind of distractions while driving. Cell phones, radio dials and even other passengers in your car can all hinder your attention to the road. When driving in extreme conditions, staying focused and alert at all times is critical, and this attentiveness will allow you to react quickly and efficiently when necessary. It is easy to become distracted by even the slightest of things, and sometimes you aren’t aware of it. Answering a text message or changing the radio station should be the least of your worries when driving in the snow. Remember that your safety and the safety of those around you comes first and foremost. Preliminary data indicates that in 2015, cellphones were a contributing factor in 17 fatal Colorado crashes. Distracted driving fatalities are increasing in Colorado. In 2015, 68 (13 percent) of the 546 Colorado traffic fatalities were caused by distracted driving. In 2014, 59 (12 percent) of the 488 Colorado traffic fatalities were caused by distracted driving. Distracted driving is a problem across all age groups. CDOT found that 37.4 percent of Colorado distracted driving crashes between 2012-2014 involved people between the ages of 21 and 34. 2. Accelerate/decelerate slowly and try to avoid braking abruptly. Take it slow and go easy! Abrupt movements of any kind cause a quick transference of weight, and can have more damaging effects than slow, easy movements. 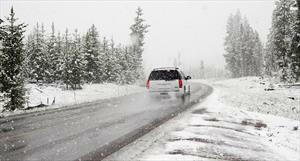 You can minimize skidding by braking lightly and by using on-and-off motions when coming to a stop. For manual cars, try to avoid abrupt downshifts, as this can cause the wheels to skid. Attempting to power up hills can also have negative effects, because applying extra gas on snow-covered roads may cause your wheels to start spinning. 3. Keep your tires properly inflated. The air in your tires expands when heated, and contracts when cooled, meaning during colder weather, it’s common for your tire pressure to decrease, posing a threat to your winter driving. Check the pressure throughout the cold winter months to maintain strong, healthy tires. When properly inflated, your tires are able to perform at their best, and will provide better handling, dependable traction and a more comfortable ride. 4. Increase your following distance from the car in front of you. It’s important to leave a substantial amount of space between you and the car in front of you. If you are the one who’s being tailgated too closely by the car behind you, change lanes to avoid the potential danger of this driver. Relax your driving, avoid rushing and give others their space. 5. Never use cruise control in winter conditions. During the winter months, attempt to make a conscious effort to ensure that you are not using it when driving in snow, ice or hail. 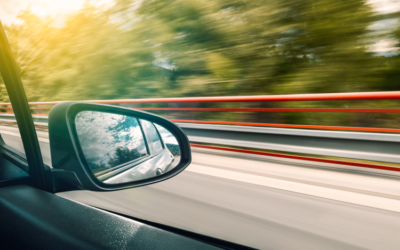 If your car skids while cruise control is activated, it may continue to accelerate and rapidly spin the wheels in an attempt to maintain the selected constant speed. This is extremely dangerous and can make it more likely for you to lose control of your car. 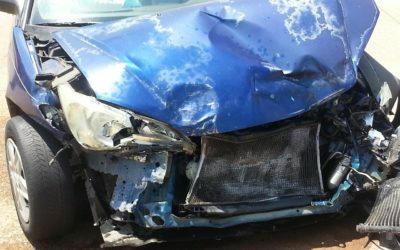 At Cave Law, I know that regardless of how cautious you are when driving during winter conditions, sometimes accidents are inevitable through no fault of your own. If you or a loved one have been injured in an auto, truck or motorcycle accident this season, I am here to help. I handle multiple cases each winter and will assist you in getting back to health and receiving the compensation you deserve. Don’t settle for anything less. Call me for your 100% free consultation. As heard on Kelly and Kafer 710 KNUS! Hear attorney Jeremy Cave discuss driving in winter conditions, and tips on how to avoid accidents!